The placement of your products in search results directly correlates to how many customers see your eBay store and listings. More views and visits mean more sales. This means that to succeed on eBay, it’s important to know a little bit about eBay SEO and how to get your listings to the top of the eBay search engine – Cassini. You don’t need any coding knowledge to make your listings appear high in the eBay search results, but it’s important to know a few basics about optimizing listing content to ensure maximum exposure to buyers. eBay SEO is a skill you must learn if you're serious about making money on eBay. eBay constantly changes its “Best Match” algorithm. Nobody outside of the programmers who create Cassini's algorithm even knows exactly how it works. There are some factors, however, that consistently improve listings eBay SEO performance and earn them high ranking. By creating listings that are more interesting and attractive, you will increase the time customers spend looking at your listings. More will watch and even bid. This will, in turn, increase the ranking of your listings. The more people who look at your listings, and the longer they look for, the better your Cassini 'score' will be. A higher Cassini score means better eBay SEO, and higher ranking in eBay search results. The format of listings can influence engagement. Single quantity fixed price present one item to appeal to the millions of eBay customers. If you consolidate similar items into multi-variation listings, you increase the amount of buyers who will engage with the listing. Driving traffic from social media can increase engagement on your listings. Froo apps smart social is a free app which allows you to automatically promote items on Facebook and Twitter. The app regulates updates and keeps to set popular times to avoid spamming. A good eBay item title uses core product keywords that describe the item. eBay gives you 80 characters to write your product title. Many people advise to try and improve eBay SEO by filling the 80 characters with as many keywords as possible. This is not a good idea for eBay SEO. Cassini decides your ranking not only on your listing title but also on how customers engage with it. Cassini compares the number of impressions your listing has, with the level of engagement. From this, it determines how relevant your listing is, and where it ranks in eBay search results. Every time a customer searches a keyword which brings up your listing, Cassini counts this as an impression. Even if your listing is result 22 on a page where the customer only looks at the first 2 results, being on the page counts as an impression. If the customer then adds another keyword or uses category filters, and your listing is a result again, that’s a second impression. There are many different engagement signals that eBay's Cassini uses to decide how engaging a listing is. 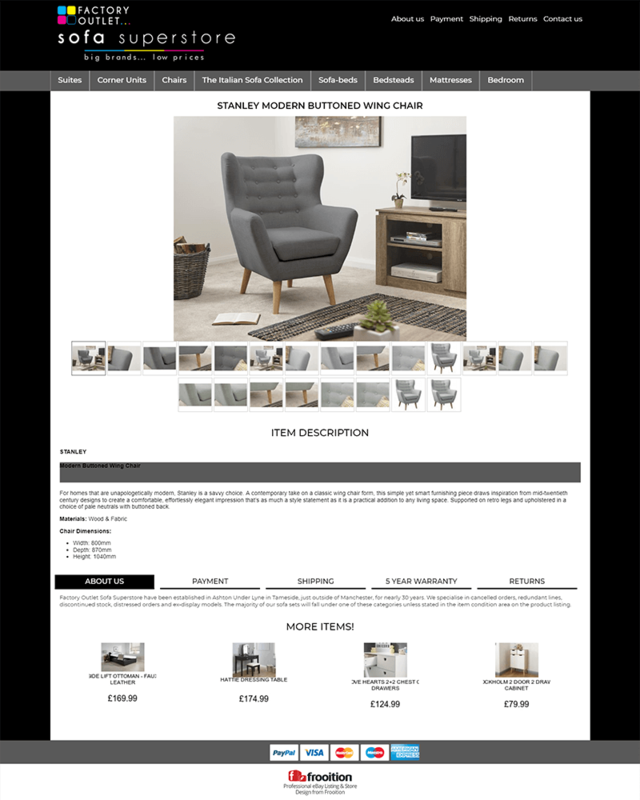 It can be clicking on the listing, going into the item description, looking through the photo gallery, watching an embedded video, watching or buying the item. If you pad out your item description with broader search terms, you increase exposure but dilute customer engagement and damage your eBay SEO. Good eBay SEO product titles use the words customers search when they want the exact item you are selling, not something similar or related to it. One of the very best eBay SEO keyword research tools to ensure you are including the words customers use to search for an item is Terapeak. Titles should be written for buyers. Writing in a smooth, easily readable way will get you a good engagement rate. Titles which read as a pile of keywords thrown together are bad for eBay SEO. Your eBay SEO will benefit from qualifiers such as designer, material or color. This information is helpful to customers and eBay Seo. Using other brand names with phrases such as “just like” breaches eBay rules and weakens customer engagement, so would damage your eBay SEO. Special characters are still sometimes seen in eBay titles. This outdated technique for catching customer attention will only irritate modern customers and is seen by Cassini as a bad practice. It will damage your eBay SEO. Item specifics play a crucial role in eBay SEO. Specifics can include information such as brand, size, color, material or style. These details appear at the top of your listing description and the side navigation of eBay category pages, making it easier for buyers to find the products they want. Once your products have all the necessary information, it's important to list them in the right place. Selecting the right eBay category will make sure your products show up in relevant product searches and will be easier to be found. Consider using the eBay category feature finder tool to find and use as many recommended item specifics as possible, and the ones that best describe your items. The use of product identifiers will boost your visibility on eBay and make your eBay listings appear higher on search engines like Google. The eBay catalog relies on product identifier information, and it is now mandatory for many categories, but even if you are selling in a category which does not require it, if you are not currently including UPC, EAN, ISBN or MPN/Brand in your eBay listings, you should start now because it is excellent for eBay SEO. How many shoppers see your listings and how they engage with them is going to decide your sales, so it's important that you spend time researching, planning and assessing all the eBay SEO factors we have covered, so you can improve the quality of your eBay listings. Using eBay's Listing Analytics tool or other resources such as Google Keyword Planner will help you create good listing content. Like any other strategy, your eBay SEO strategy should be something that you regularly revisit and refresh because customer behavior, trends and search engine algorithms all change.